Box Printing Company has just the solution for all your soap sleeves packaging needs. Using our state-of-the-art resources we can help you design, print, and create your very own custom soap sleeve, personalized to fit all your tastes and preferences. All you have to do is let us know what you’d like your design to be and any additional ideas or input you may have and our team of trained professionals can help you make it happen. 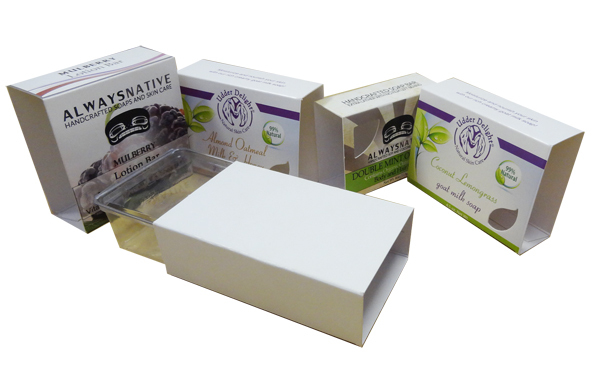 With our soap sleeves you can package your soap products in a simple and effective manner.